The blue line in the map below represents the adopted section of Station Camp Creek. The purple boundary in the map below outlines this creek's watershed. When it rains, water that falls within this boundary eventually finds its way to the waterway. The quality of water in the waterway is directly connected to the condition of the land within this purple drainage boundary. Good news! Your section of Station Camp Creek is considered healthy by the State of Tennessee. In a watershed with increasing development pressure, stewards like you are a valuable resource for your community. The Center for Watershed Protection has found that watershed's with over 10% impervious surface (e.g. parking lots, roads, buildings, etc.) experience water quality impacts. In addition, impervious surfaces cause flooding. This stewardship activity will prevent pollutants from reaching your stream, restore habitat, reduce erosion, and mitigate the impacts of flooding. This stewardship activity will prevent pollutants from reaching your stream, reduce erosion, and mitigate the impacts of flooding. Each Spring, Nashville and surrounding cities participates in the Nationwide City Nature Challenge. This event is a fun way to obtain species data in your watershed and engage with the larger region within a regional BioBlitz. Contact the Cumberland River Compact if you're interested in participating in the City Nature Challenge. Use agricultural best management practices on pastureland. Excluding farm animals from waterways and providing them with alternative sources of water can prevent these animals from trampling streamside vegetation and defecating in the creek. NRCS offers a number of programs that can provide technical or financial assistance to landowners interested in employing agricultural best management practices. Potential programs may include: the Agricultural Conservation Easement Program, Conservation Stewardship Program, Conservation Technical Assistance Program, and Environmental Quality Incentives Program. This stewardship activity will prevent pollutants from reaching your stream and reduce erosion. Many local pet stores sell biodegradable pet waste bags. Online options include: Earth Rated Green Dog Poop Bags; Pogi’s Earth Friendly Poop Bags; BioBag Dog; Flush Puppies Doodie Bags. Companies in the region that offer pet waste removal services include Poop Control and O'Bryan's Pet Waste Removal. This stewardship activity will prevent pollutants from impacting your stream. 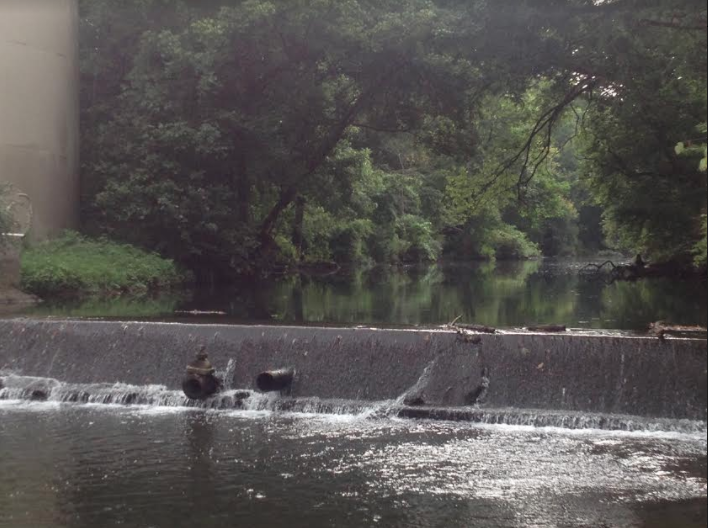 This stewardship activity will prevent pollutants from reaching your stream, restore in-stream habitat (by reducing flow velocity), reduce erosion, and mitigate the impacts of flooding. Only use fertilizers and pesticides when it's absolutely necessary. Follow application directions, and use only in recommended amounts according to the needs of your soil. Do not apply before rainfall. And/or consider passing out free soil sampling kits and educational materials somewhere popular or public in the watershed. UT Municipal Technical Advisory Service provides a number of related educational resources including Lawn and Garden Fertilizers, Lawn Watering, and Managing Leaves and Yard Trimmings. This stewardship activity will prevent pollutants from building up in your stream, will restore habitat, and will mitigate the impacts of flooding. This stewardship activity will prevent pollutants from reaching your stream. Do your neighbors, family, or roommates know about what's going on in your creek? Now that you know how to be an effective steward, enlist the help of others in your neighborhood. Share iCreek or resources within it with your neighbors and encourage them to join the effort to protect your creek. This adoption is administered by the Cumberland River Compact.